How to correctly select the attachment of lapel pins? Firstly, let’s learn two of terminologies to make everyone know lapel pins better. At least, at your next cocktail party, when someone starts discussing about lapel pins, you can amaze everyone with your knowledge of the lapel pins terminology. Adornment: the face of lapel pins that is where your logo or design would be. It’s what you show to everyone. Attachment: the back of lapel pins, attachment is how the adornment is fastened. 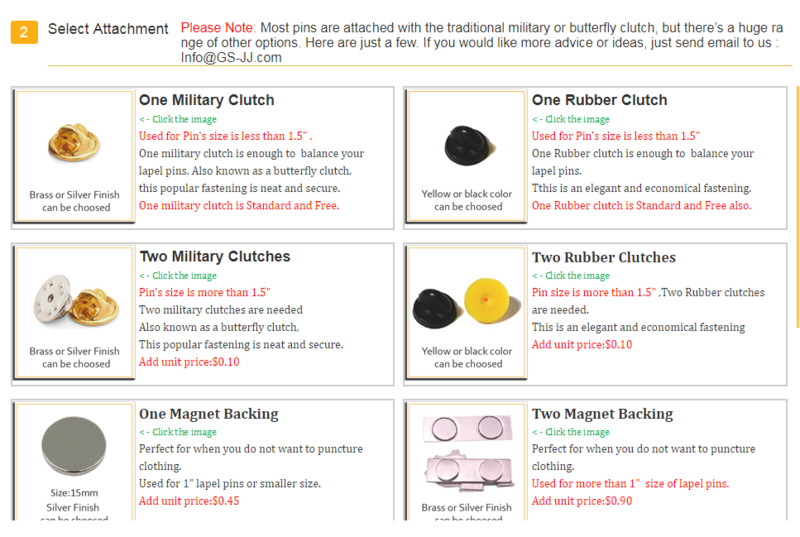 Butterfly clutch: It is called military clutch, one of the most popular modern of attaching pins. Simply push sharp point of your lapel pins through your left garment and attach the butterfly clutch at the rear. It you want to remove lapel pins just squeezes butterfly clutch and the pin is released. Advantage: This attachment is the cheapest one, easy to attach and release from your any of garment, jacket and hats. Rubber Clutch: A standard attachment option, a rubber clutch is simply a small stopper that goes onto the back of the lapel pins to use. Advantage: Rubber clutches hold better so they are harder to remove. For example, when used on a hat, they won’t poke you as much as metal. Magnet: Magnet attachment is composed of a small disc magnet; strong magnet will hold your lapel pins in place without moving. This is a good choice if you want to affix your custom pins onto model planes or other metal based objects. Advantage: Magnet has an excellent safety feature. Using this kind of attachment on hats or garment can prevent damage without creating holes. Safety Pin: The closure on this pin back emulates that of a safety pin. However, it is somewhat smaller and consists of a flat portion upon which your lapel pins is set. Advantage: They are especially well suited for heavier fabrics, dense articles of clothing and material or very wide pins. Safety pin is the most traditional fastening with a safety-lock – ideal for children’s lapel pins. Deluxe clutch: It is an alternative to the butterfly or rubber clutch, just looks more top grade than butterfly clutch and rubber clutch. Advantage: This attachment offers a locking feature that clamps it securely to the post of your lapel pins. After known well of the standard attachment, below you can have a good understanding of Cufflink. Adornments aren’t just used to create lapel pins. With the cufflink option, you can turn your adornment into stylish shirt sleeve fasteners. Cufflinks are a great way to add a personal touch to a suit or dress shirt. Wearing cufflink to display your unique sense of style, or simply complete a fashion look. Many of customers were confused what situation need to use one attachment and what situation need add more. 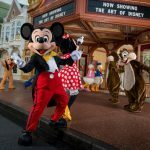 Clearly, for some special and large size of lapel pins, if just use one attachment to attach, lapel pins would be tilted and slant more easily, at that time you need to add one attachment to fasten lapel pins perfectly. Normally, if lapel pins over 1.5 inches have required two attachments. This instruction we also have showed in “select attachment” by Automated Quotation System for Custom Lapel Pins. 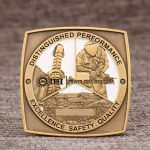 Furthermore, our designers will decide to use one or two attachments according to your design when they draft a proof .we are professional in this field, we will turn your design or idea into lapel pins. ← When it comes to Coins, Shapes Matters! ovzokrn,Some really nice stuff on this website, I enjoy it.